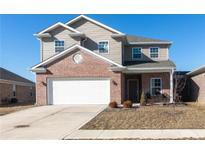 Below you can view all the homes for sale in the Bluff Manor subdivision located in Indianapolis Indiana. 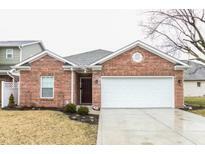 Listings in Bluff Manor are updated daily from data we receive from the Indianapolis multiple listing service. To learn more about any of these homes or to receive custom notifications when a new property is listed for sale in Bluff Manor, give us a call at 317-893-3961. 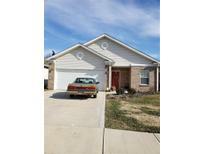 3 bedroom/2 bath all brick ranch home,large eat in kitchen with center island,breakfast bar,plenty of cabinetry & stainless steel appliances,master suite features walk-in closet,double sinks,shower/tub combo,2 additional spacious bedrooms,6 panel doors,concrete patio for cook outs,2 car finished garage.Won't Last Long! MLS#21629896. Realty World-Turtle Crk Realty. Completely fenced back yard offers privacy as well. MLS#21627080. CENTURY 21 Scheetz. All appliances stay. Move in ready. MLS#21629255. Realty World-Turtle Crk Realty. Attached exterior storage closet for additional space. Won't last long!!! ! MLS#21626300. Realty World-Turtle Crk Realty. Move in ready! WON'T LAST LONG! ! 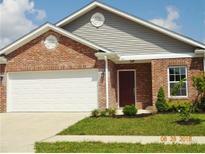 MLS#21626370. Realty World-Turtle Crk Realty.